Manhattan District Attorney Cyrus R. Vance, Jr., today announced the trial conviction of AKRAM JOUDEH, 34, for attacking an off-duty NYPD detective with a meat cleaver. 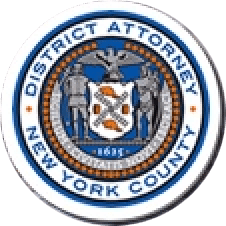 The defendant was convicted by a New York State Supreme Court jury of all of the charges of the indictment against him, including Attempted Murder in the Second Degree, Assault in the First Degree, and two counts of Menacing a Police Officer. He is expected to be sentenced on December 6, 2018. Assistant District Attorney Michael Pasinkoff handled the prosecution of the case under the supervision of Assistant District Attorney Christopher Prevost, Chief of the Violent Criminal Enterprises Unit, and Executive Assistant District Attorney John Irwin, Chief of the Trial Division. Senior Trial Counsel Jeanne Olivo and Investigative Analyst Emily Hogan assisted with the case.